ZAGREB (Croatia), November 21 (SeeNews) – China's Norinco International Corporation plans to invest 160 million euro ($182 million) in the construction of a 156 MW wind farm in Croatia, the Croatian government has said. Norinco has launched the construction of the wind farm which have 39 turbines and will be located in the Brinje municipality, in Croatia's north, the government said in a statement on Tuesday. Part of the construction works will be carried out by Croatian subcontractors and at least 100 people will be employed in the next two years. 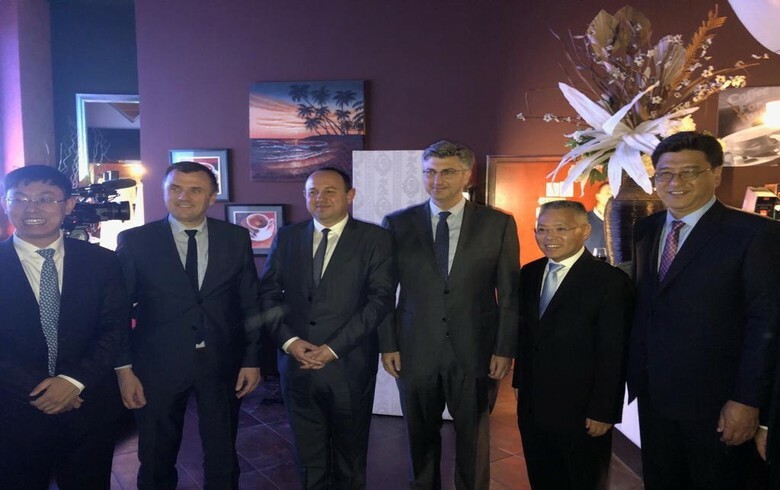 "I believe that the experience of Norinco in Croatia will be an incentive for other Chinese companies to get to know our market better," Croatian prime minister Andrej Plenkovic said during a meeting with the president of Norinco, Wang Yitong. Norinco is also interested in the implementation of major hydropower projects in neighbouring Montenegro, that country's government said last year.